BoConcept, the Danish-founded global retail furniture franchise with nearly 300 locations across 60 countries, will continue to cement its status at the forefront of modern furniture design in Florida with the grand opening of its new store at Shops at Merrick Park in Coral Gables (342 San Lorenzo Avenue) on January 24 at 6 p.m. The celebration will feature both Coral Gables and BoConcept leaders. The new location will feature BoConcept’s differentiated designs for both home and office, including elements from world-renowned designers like Oki Sato, Henrik Pedersen and Karim Rashid. The new store continues the brand’s aggressive push for increased market share across the U.S. BoConcept has innovated in the global Scandinavian furniture revolution since its founding in 1952 and the brand’s arrival with its second store in Florida further builds upon the dominance created in markets across Europe, Asia and Latin America, opening the door for new multi-unit franchise partnerships in the competitive U.S. market. The new Coral Gables location follows the opening of the first successful BoConcept store in Miami at the trendy Brickell neighborhood. Now, both stores will include contemporary, flexible furniture options for both home and office. Elements from world-renowned designers will be featured in Florida´s BoConcept stores, presenting a fresh new, modern, yet functional option for the urban-minded homeowner. The BoConcept stores in Florida will be managed by Kore Knudtoft, a veteran furniture retail and operations manager who has worked with the brand for 15 years. Through its franchise business model, BoConcept continues to further set itself apart in the industry. From store openings to design planning, visual merchandising and local marketing, franchisees have a true corporate partner. Franchisees also receive access to BoConcept Academy, an online education program designed to ensure rapid operational success. 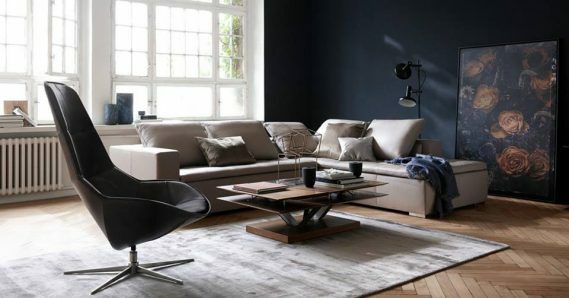 The brand remains focused on partnering with driven, entrepreneurial-minded franchisees who are interested in sustainable multi-unit growth and targeting sophisticated retail operators in additional key markets in the U.S.
For more information please visit www.boconcept.com.